A variety of aquatic insect adults, larvae, and naiads are displayed on this mount. 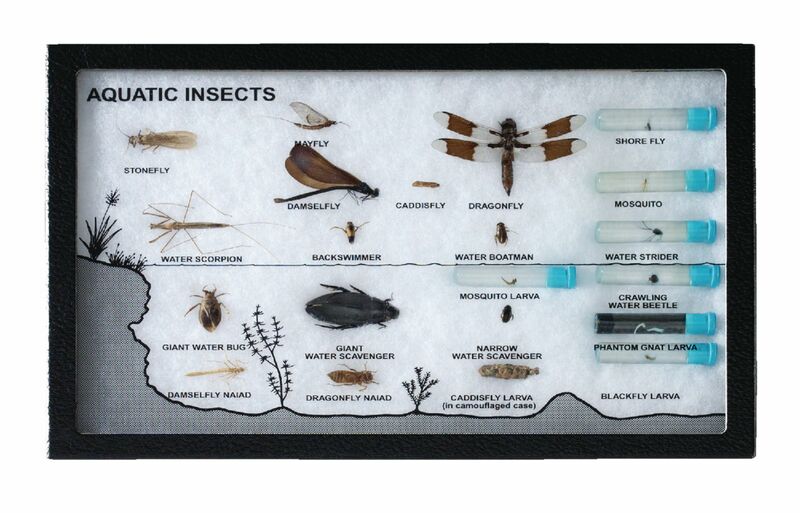 The selection is organized above and below a graphic of a waterline to indicate where each species or life cycle stage inhabits. Size: 8 x 12".